Fashion apparel sales are down 4% in the U.S., but outdoor apparel is driving growth in active apparel thanks to some notable trends. Ten years ago, no one would've believed that a $1,000 puffer jacket would be ubiquitous in every major city. But that's exactly what Canada Goose Holdings Inc. (GOOS - Get Report) has been able to achieve amid a drastic overhaul of the retail landscape. Today, fashion apparel sales overall are down 4% in the U.S., according to data from marketing firm NPD Group Inc. But the $48 billion active apparel category within the sector is up 2%, with outdoor apparel as one of the drivers of that growth. Sports outerwear, for instance, grew by 3.2% between November 2016 and November 2017. In that category are Canada Goose; North Face, owned by VF Corp. (VFC ; and Columbia Sportswear Co. (COLM - Get Report) . "Even though both fashion retail and the outdoor sports retail [category] are posting declines in sales, outerwear apparel has been really, really strong," said Julia Day, executive director of business development for NPD. Hundreds of companies within the segment are congregating this week at the Outdoor Retailer + Snow Show expo in Denver. It's not just the giant public players. An influx of direct-to-consumer outdoor brands have emerged in recent years that are, at least partially, responsible for the demise of the traditional sports chains such as Sports Authority and Sports Chalet. "If you're still selling third-party product as a retailer, you're not going to be around for long," said Jamie Clarke, co-founder and CEO of Live Out There Inc., a direct-to-consumer outdoor apparel company. Live Out There aims to offer customers fair prices that transparently disclose manufacturing costs, he said, while the direct access between consumer and manufacturer allows for much higher profit margins. "Even in other sports categories like equipment, we're seeing more and more direct-to-consumer brands," Day said. This trend, of course, has been evident across consumer product segments, including consumer packaged goods and retail. But among outdoor retailers, the direct-to-consumer pipeline is especially prevalent because of their marketing chops. Beyond higher margins, direct-to-consumer products make it easier for companies to have deeper and seemingly more authentic relationships with shoppers. Outdoor companies are especially good at this sort of marketing, according to Lee Peterson, executive vice president at retail consultancy WD Partners Inc. 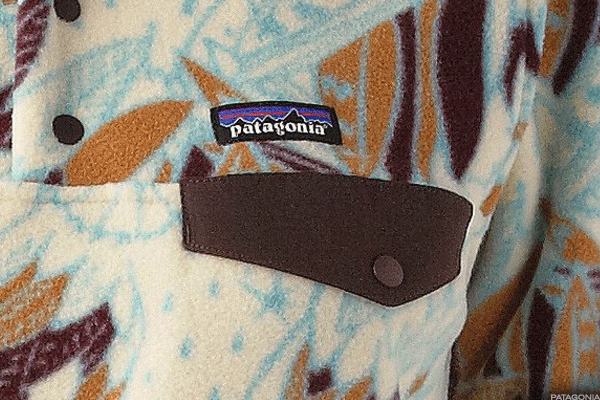 He pointed to Patagonia Inc. -- behind all three top-selling items in outerwear this past year, according to NDP -- and Recreational Equipment Inc., both private companies. "For REI to abstain from Black Friday, it's genius," Peterson said. "And Patagonia, with their message to [President Donald Trump] about preserving national parks, they understand that it's important to be true to their brand." Younger consumers, who value wellness in the first place, are already susceptible to lifestyle branding, Peterson said. "My children, they're digital natives who don't really know life outside of Amazon or Instagram. When they heard about REI's Black Friday campaign, they told all their friends. That's how the marketing spreads." Many outdoor apparel company founders, like Clarke, are outdoors enthusiasts themselves. He's climbed the Seven Summits, the highest mountains on each continent; later this year, he'll scale Everest for the third time and will wear his own company's gear. This adds a layer of authenticity to the products, Lee said, which again resonates with younger generations of shoppers. Outdoor and athletic apparel has been on the rise for the past decade, according to Day, but brands have sprung up in the five years as the outdoor lifestyle crosses over into fashion and vice versa. For millennial shoppers, for instance, health, wellness and an appreciation for the outdoors make for an intuitive lifestyle brand in both apparel and beyond. Just look at the popularity of organic snacks or Equinox gyms. "That's how Canada Goose has been able to be so successful," she said. While the likes of Columbia and VF have gobbled up a sizable fraction of outdoor vendors, dozens are still scaling at their own pace. Here are some of the hottest privately owned brands out there now. This one's a no-brainer. The Ventura, Calif.-based brand commits 1% of its total sales to environmental charities around the world, and it produced the highest-selling outerwear item between November 2016 and 2017, according to NDP: the women's re-tool fleece pullover, at a $93.51 average selling price. You may have seen this backpack on the subway, on the streets or pretty much anywhere else. The Swedish company, whose name means arctic fox, has been around since 1960 but recently became a mainstream fashion staple in cities around the world. A favorite among outdoor enthusiasts, HippyTree produces nature-inspired apparel, including shirts, jackets and surf accessories, which are sold on its website as well as at retailers such as REI and Tilly's. Founded in Salt Lake City in 1986, this ski apparel company started out with just one product: the "Alf" hat, named after John "Alf" Engwall, one its four co-founders. Now, it carries some of the top-selling pants, shirts and outerwear in the category. Its men's Revolvr khakis and Rydr jeans were the second- and third top-selling items last year in the bottoms category under sportswear, according to NDP. Based in Seoul, Blackyak is an emerging brand in the U.S. in mountain clothing and equipment.